How to be paid timely and safely is a primary concern to foreign businesses that want to enter China, especially when you do e-commerce. Some clients of ours decided to go with credit cards as they did in other countries when they first came to China. That was a bad choice that shuts the door to many potential customers when they had just happily picked some items, rushed to the shopping cart and was going to pay. What do the Chinese people use to make payments online? The landscape of online payment methods in China has changed dramatically since we updated the article last time. 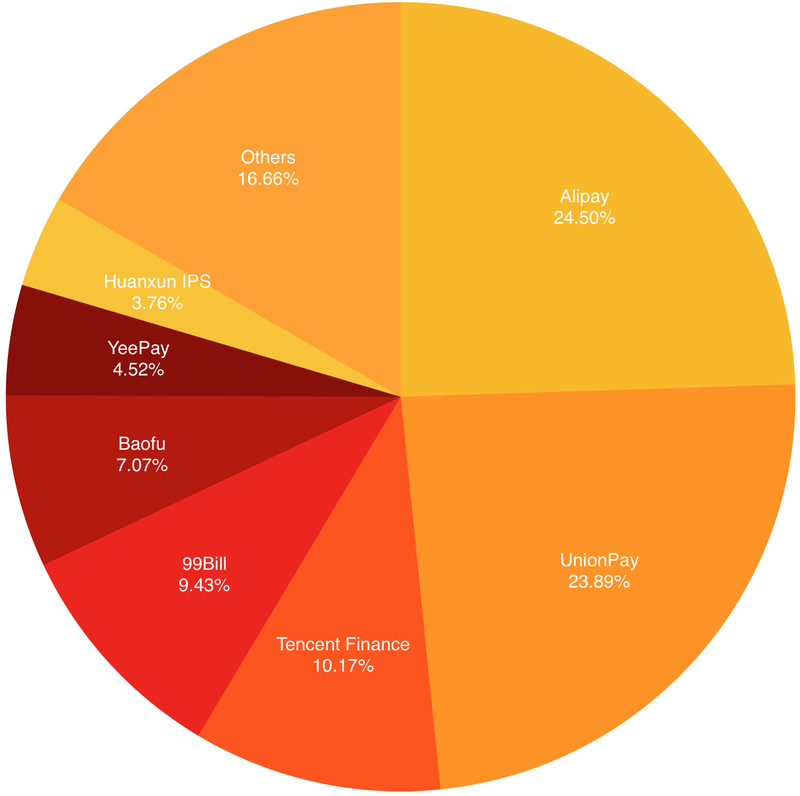 Based on data of Q4, 2017, Alipay keeps leading the market with a market share of 24.50%. UnionPay is not left behind too much with 23.89%, while Tencent Finance takes a market share of 10.17%. Below is a pie chart that illustrates the market share of online payment services regarding transaction volume in Q4, 2017. What payment methods should your online store support? The ultimate combination is Alipay + Union Pay. If you run a mobile store, especially a WeChat store, add Tencent Finance (WeChat Pay) to your payment method list too. Happy Chinese New Year 2018 to all SEO Shifu Blog readers. Here at SEO Shifu, we wish you a prosperous 2018, the Year of Dog.